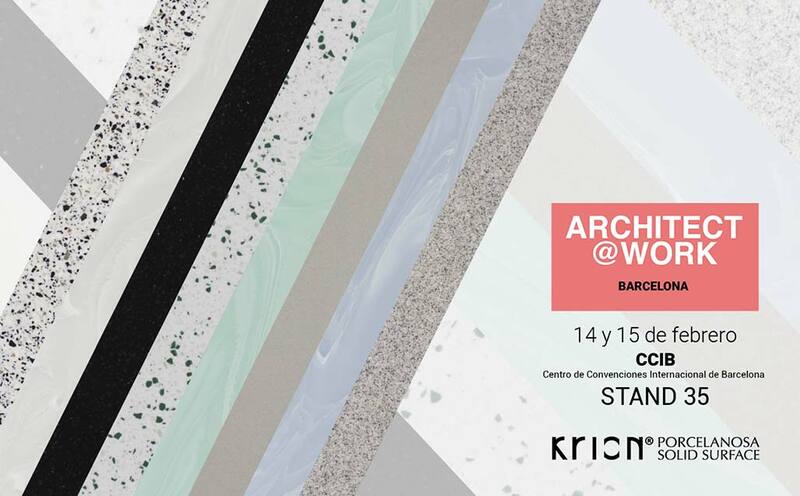 Within the calendar of Architect@Work events around the world, it is Barcelona’s turn on the 14th and 15th of February at the Barcelona International Convention Centre. Professionals from the sector – architects, designers, engineers, urban developers and promoters – will be able to visit the stands of manufacturers, importers and distributors related with construction, in small, uniform modules. In our case, representingPORCELANOSA Group, KRION will be located at Stand 35. The KRION stand will inform visitors of all the new KRION products, the Opale Series, new colours and washbasins, etc. We will be waiting for you!! !